You know them. You love them. And, we’re letting them know it at our October meeting! 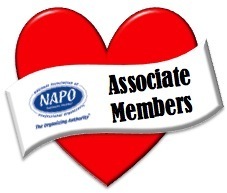 Join us on Wednesday, October 16th for our annual Associate Member Spotlight. You’ll hear the latest from our Associates, who graciously dedicate their time at our meetings, volunteer for special events, and help strengthen our industry along the way. fantastic prizes to be had! With so much planned for this evening, we’ll start at 5:45pm instead of our usual time, so please plan accordingly. See you there!